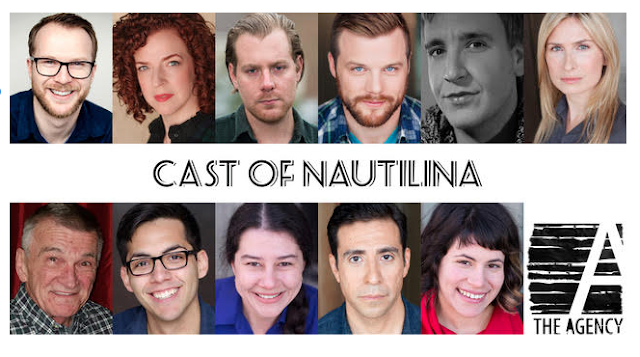 The Agency Theater Collective is pleased to announce the cast and creatives for its summer production – the world premiere of Nautilina, written by Brian Foster and co-directed by Sommer Austin and Anna Lucero, June 16 – July 16, at the Den Theatre, 1331 N. Milwaukee Ave.
Previews are Saturday, June 10, and Sunday, June 11. 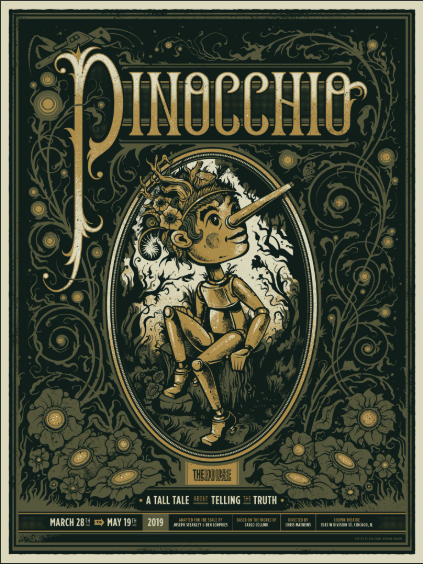 Opening night is Friday, June 16 at 7:30 p.m. The performance schedule is Thursdays, Fridays and Saturdays at 7:30 p.m. and Sundays at 3 p.m. Ticket prices for previews are $15 and for the regular run $22. 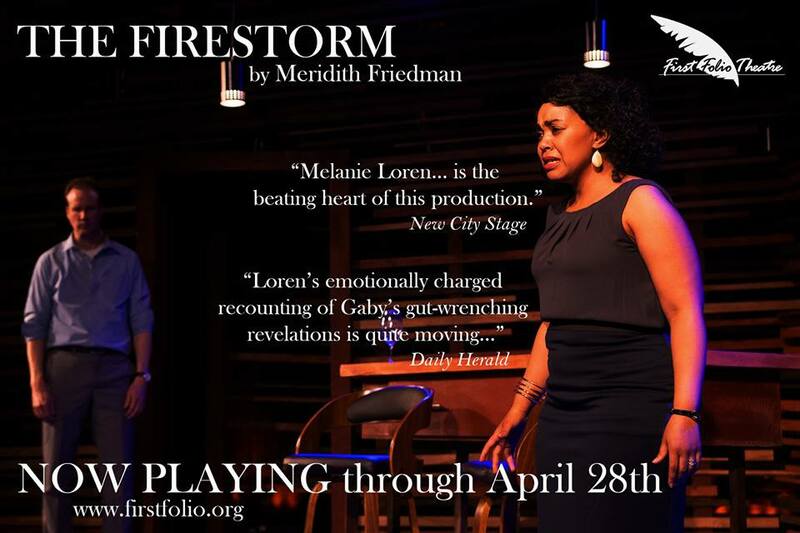 For more information and to purchase tickets, please visit http://www.wearetheagency.org or call 773.680.4596. Nautilina is series of small scenes and monologues which lock into each other like puzzle pieces and create a larger narrative. 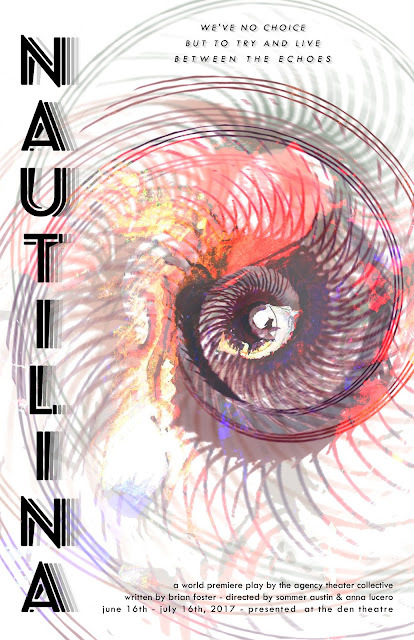 Nautilina is an examination of what makes people tick, what makes them behave the way they do. Sommer Austin*, co-director; Anna Lucero, co-director; Niki Dreistadt, asst. director and sound designer; Michael Saarela, asst. director; Kat McNall; production stage manager; Shannon Lauzier, asst. stage manager; Margret Baughman, assistant stage Manager; Hope Rehak, dramaturg; Kate Jacobsen*, costume designer; Ellie Humphrys, lighting designer; Alec Long, scenic designer, Manny Ortiz, technical director; Taylor Tolleson, properties designer. Andrew Gallant, artistic director of The Agency; Sommer Austin, managing director of the Agency and Tim Touhy, company manager of The Agency. The acting ensemble includes: Matthew Collins, (The Couple/Rod); Meg Elliott (Ray); Zach Hebert (Owen); Logan Hulick (Eric); Alex Kliner (Piano Player/Walter); DeChantel Kosmatka (Cassandra); Manuela Rentea (Gerald); Bob Norman (Simon/John); Manny Ortiz (Bar Patron/Robert); Armando Reyes (Bartender/Paul/SSG Cooper); Sara Faye Richmond* (The Couple/Thomas); Kate Gilbert (Understudy); Kate Jacobsen* (Understudy); Carter Petray (Understudy); and David Trudeau (Understudy). Founded in 2010, The Agency Theater Collective creates relevant, authentic work with a focus on new or rarely produced plays. Past productions include Paul Pasulka’s Skin for Skin, Mia McCullough’s Chagrin Falls, Copi’s Four Twins, Clifford Odets’ Paradise Lost, Out of Tune Confessional, I Wish to Apologize to the People of Illinois, At the Center, Truth in Context (Non-Equity Jeff Award nominee for Best New Work in 2015/2016), and The Spirit of ’76. 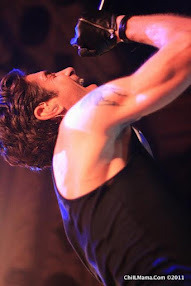 The Agency also hosts “No Shame Theatre,” a weekly theatrical open mic, every Saturday night at The Lincoln Loft. The Agency Theater Collective hold these principles sacred: revelation, paradox, humor, mischief and collaboration.